PEC type “Partner” manipulator, column mounted. The tooling is equipped with an expanding mandrel, 90° pneumatic inclination and also an anti-telescoping device. 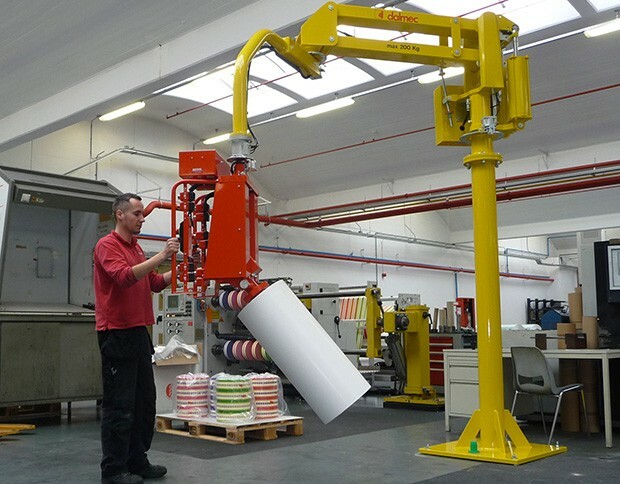 Partner manipulator, column mounted, with gripper tooling, for handling reels about their external diameter, with pneumatically assisted rotation through +/- 90°. Partner manipulator, column mounted, fitted with pneumatic mandrel tooling for gripping in the reel’s core and 90° inclination. 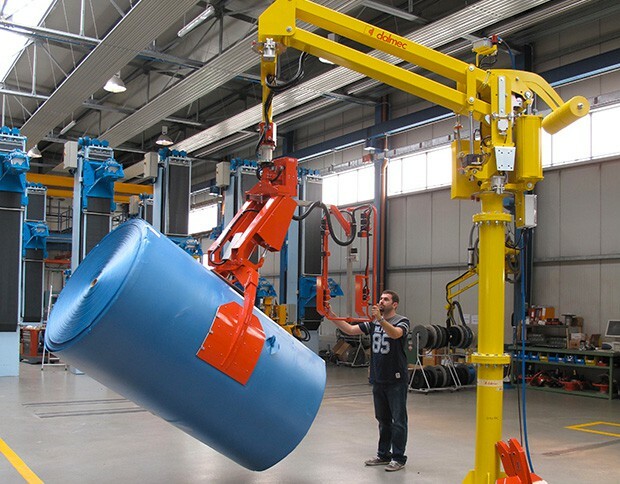 The unit is used for palletizing reels. 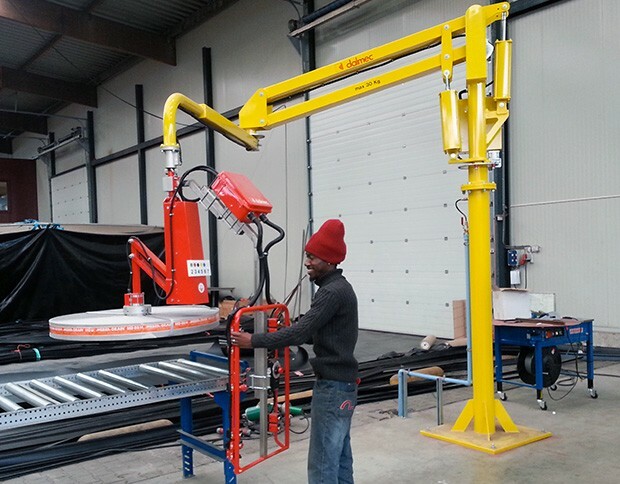 PSC column-type Partner, with pneumatic gripping jaws for handling rolls about their external diameter. 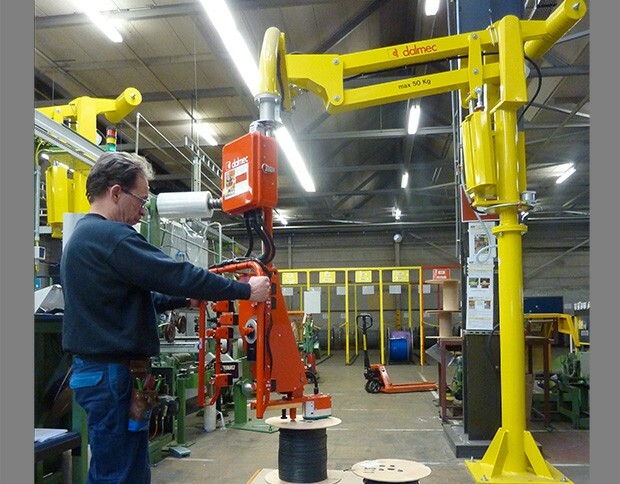 Manipulator Parter type equipped with pneumatic expansion tooling for handling spools of thread. 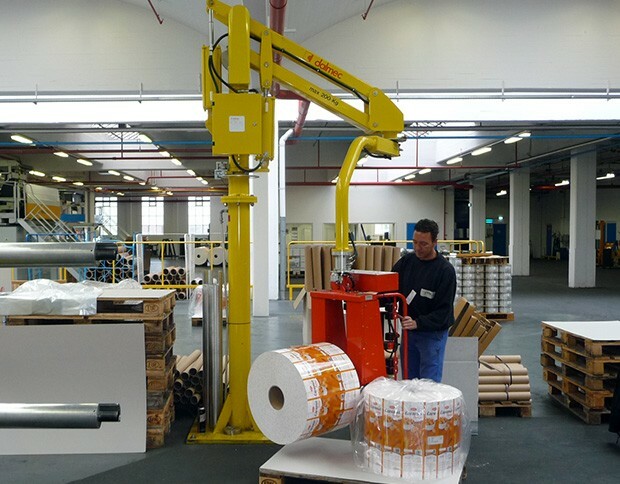 The precise handling capabilities of the PARTNER EQUO allow for easy handling of rolls and bobbins ranging from 10 kg to 300 kg. 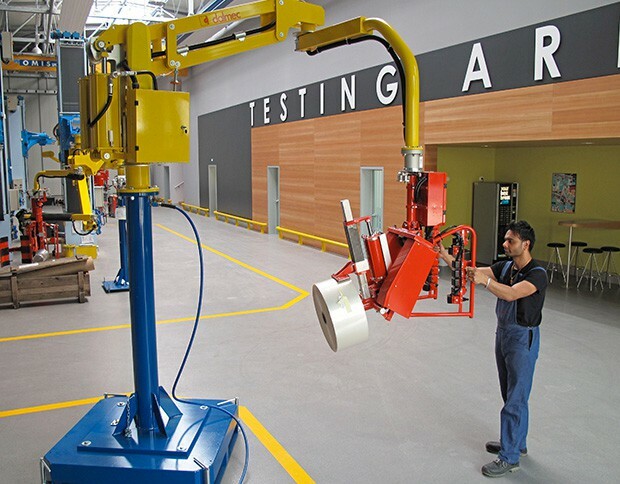 Hundreds of gripping tools are available for the handling, rotation and inclination of rolls of any type and dimension. 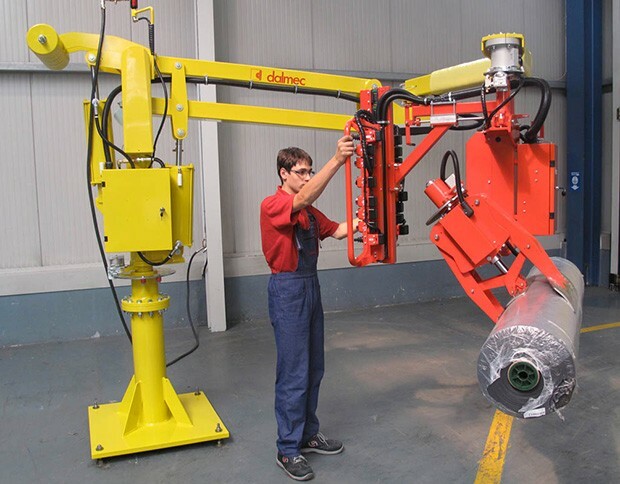 Every Dalmec ergonomic handling device is custom-made to fit each specific need and application.